As we near the end of our traineeship we are busy completing projects, thinking about all we have learnt on our placements, and applying for new jobs. My last few projects at Worcestershire Archive and Archaeology Service are a hand over pack for my absent voter project, photographs for the Explore the Past leaflet I have designed and a project to catalogue and care for the Kinver archaeology Collection. The Absent voters from 1918 are being transcribed by a loyal band of volunteers I recruited and trained. I have supported them as they completed the work and congratulated them as they finished one book and moved to the next. 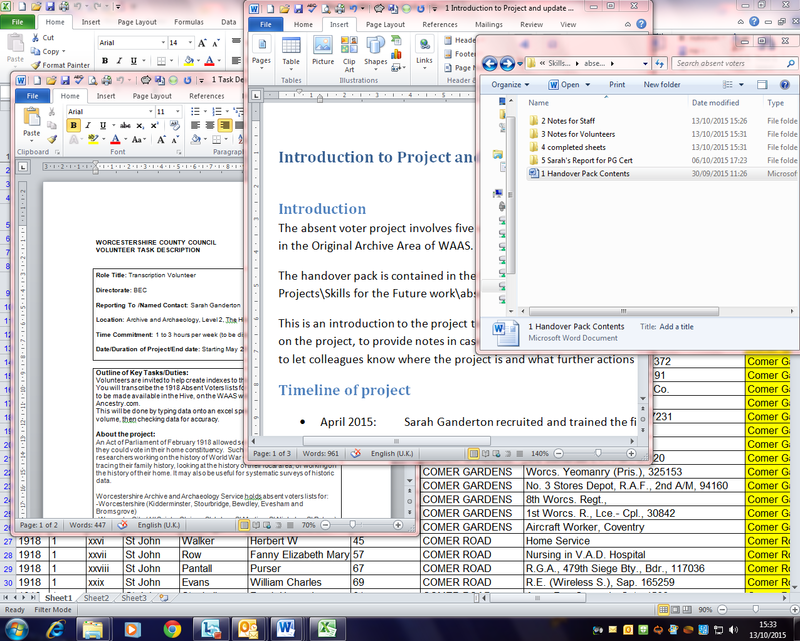 But they in turn have supported me as I wrote up the project for my PG cert assignment. Now the volunteers know what they are doing I just need to leave a pack for my colleagues who will take over supervising the project. Meanwhile I have been running around trying to rope in photographers and models for some photographs to advertise the service. The staff and volunteers at WAAS, their children, and some students from the university as well as Tom from the Cathedral library, all kindly helped by posing for photographs, and I was lucky to find two very talented photographers to take the pictures. I have been researching and writing the leaflet for months, so it’s been lovely to get the last bit completed, and now it’s on the way to the printers. And the archaeology project has given me a chance to learn more about the Heritage Environment Record, and to input items into it, while learning some more about archaeology. At the same time I have reinforced some of the skills I have previously learned in archival care and conservation, finally getting my head around how to make boxes to fit the archives. It’s a little sad as each individual trainee departs on their new journey, but great for the project to revel in our success and I am really looking forward to my own new roles as I continue to apply all that I have learned here. I feel really lucky to have had this opportunity to work with so many experts at WAAS, and to be leaving the role to continue working within heritage. 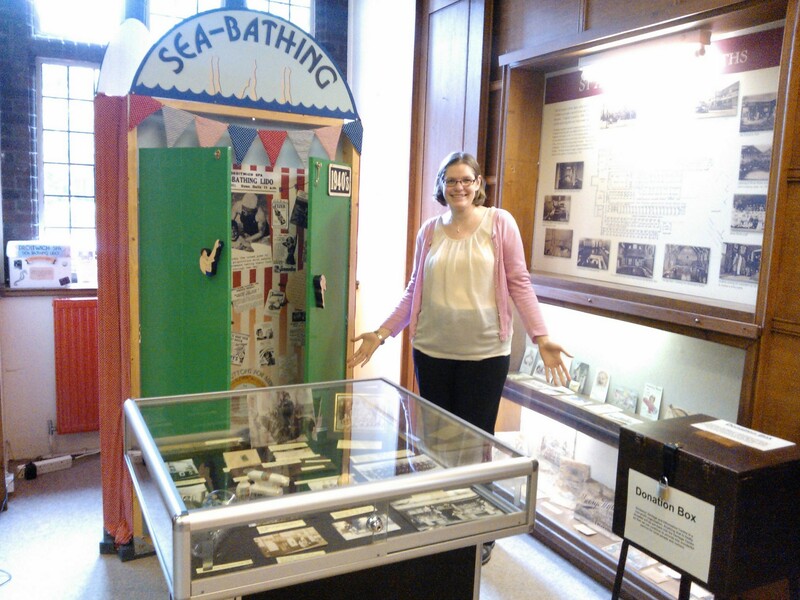 This week is the culmination of our project as the My Worcester Pop-up Museum goes live in Reindeer Court. 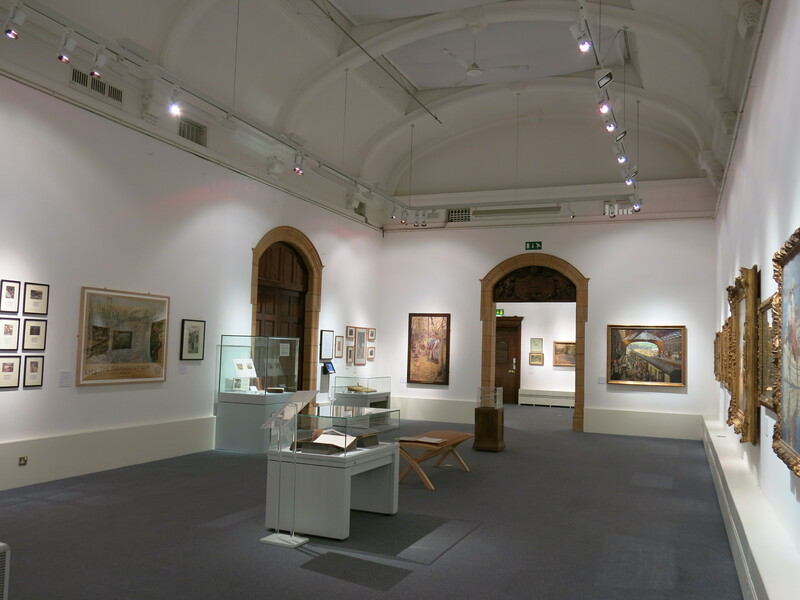 We are opening to the public from Thursday 20th, Friday 21st and Saturday 22nd August 11am to 3pm, with an exhibition and FREE activities for all ages. 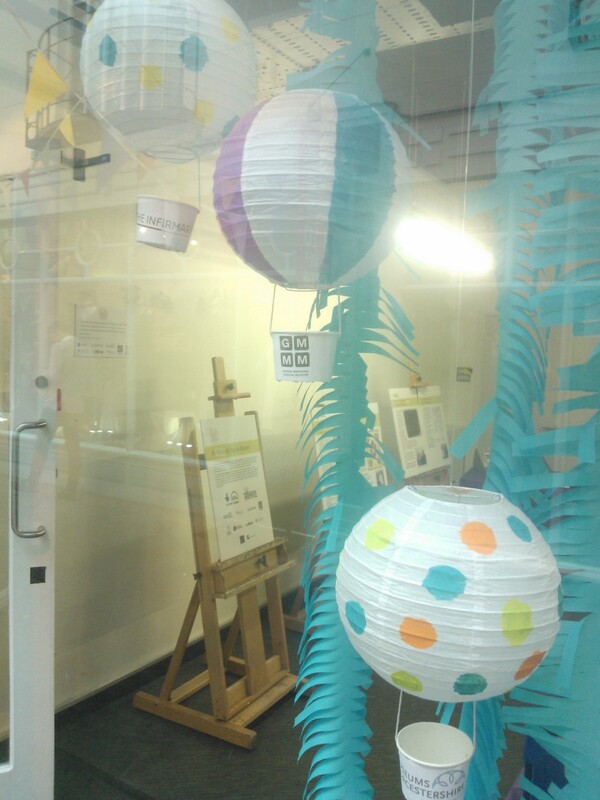 For several months now all the trainees have been working hard on the pop-up museum as part of the Worcester Festival. It’s been exciting, terrifying, enjoyable, nerve-racking and fascinating all at once. Such a project had not been tried by the previous tranches of trainees so we are breaking new ground while we learn new skills. The exhibition highlights favourite treasures from each placement chosen by our volunteers and visitors. 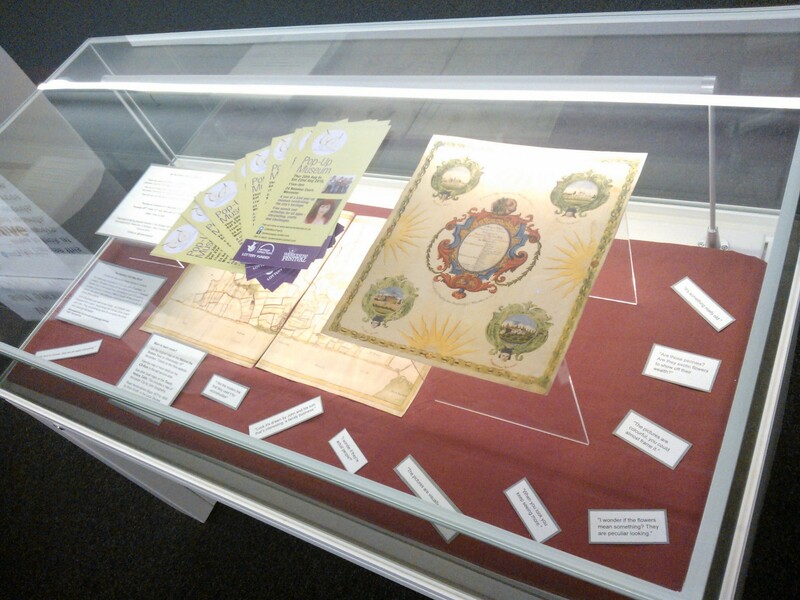 At Worcestershire Archive and Archaeology Service and the University of Worcester Special Research Collections we don’t normally have artefacts on display so we took the opportunity to create an exhibition on level 2 of the Hive. 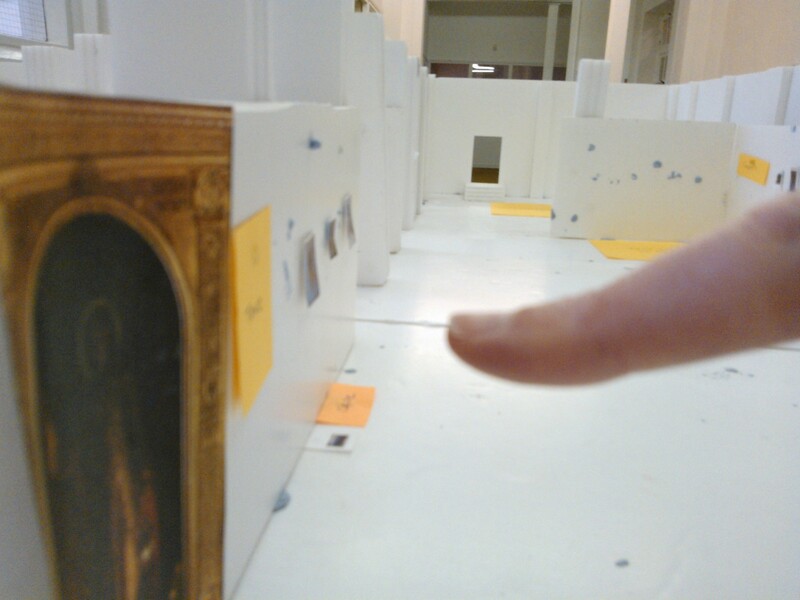 I visited a couple of other institutions to work out how to create this exhibition. 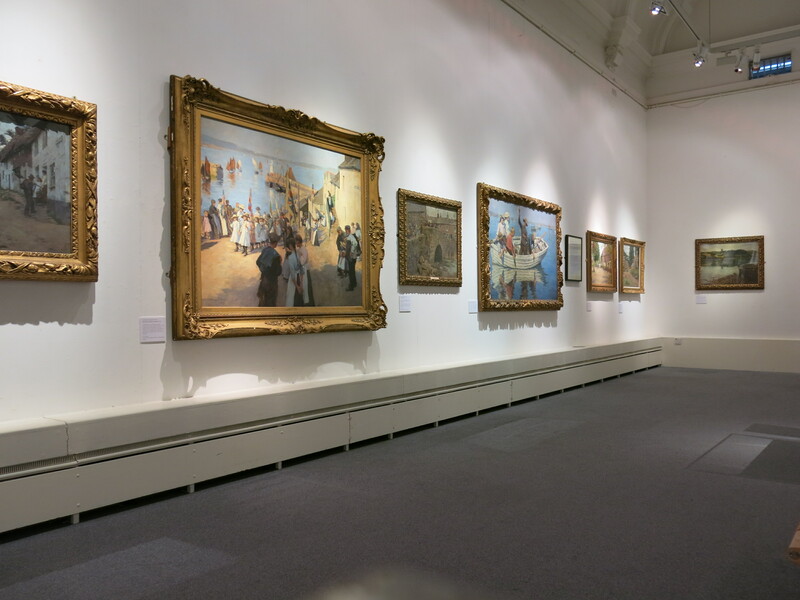 I was welcomed by Birmingham Museum and Art Gallery where Katie Hall had kindly organised for staff to talk to me about planning, setting up, and marketing a large exhibition. I chatted to the conservator about looking after the artefacts on display and sat in on a planning meeting. Then I visited Droitwich Spa Heritage Centre where Becky Pye and her band of volunteers let me sit in on a day’s worth of museum management while I marvelled at the temporary exhibition there. 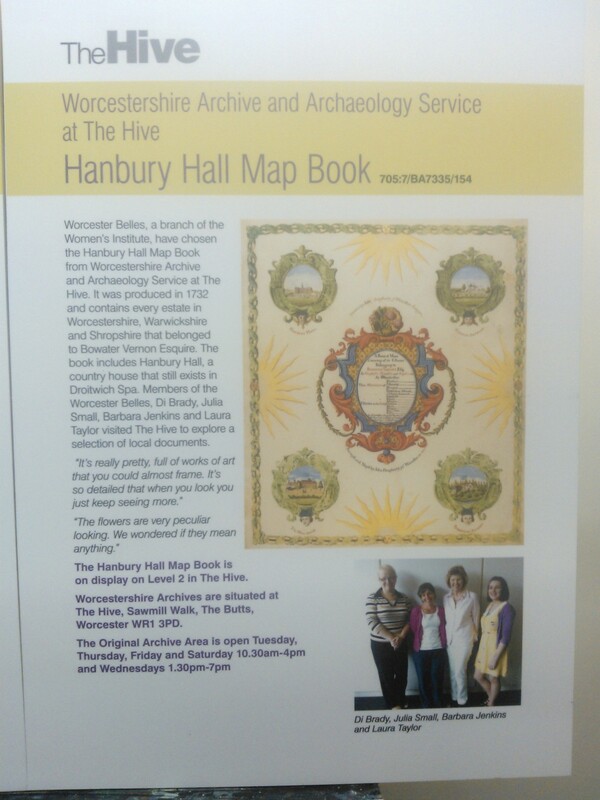 Fired up with inspiration from both placements I created the exhibition now on level 2 of the Hive to showcase the Hanbury Hall Map Book (1732) chosen at Worcestershire Archive and Archaeology Service and a copy of Where the Wild Things Are from the University of Worcester Special Research Collections. This mini exhibition can be viewed until the end of August. It has been brilliant to work together as a team with all the other trainees on this project. Now all the hard work is done, and we can enjoy welcoming customers to our pop-up museum in Reindeer Court: Thursday 20th to Saturday 22nd August, 11am to 3pm. Why not pop in and check it out for yourself? It’s been nearly two months since the artworks for Stanhope Forbes’ England went back to their owners and one year since we began the Skills for the Future traineeships, so I have been reflecting on all that I have learned. A particularly lovely moment in evaluating the exhibition came when one of the trainees observed two couples who came separately and did not know each other, but began to talk about the exhibition and then continued around the museum together. These types of comments and observations make me feel so proud of everything that Worcester City Art Gallery and Museum achieves and highlights what exhibitions can bring to the local community. Evaluating my learning while working on Stanhope Forbes’ England has also filled me with pride, in both my own achievements and in the people I work with. I was offered a rare combination of freedom and support from the team here at MAG, which I believe significantly fast-tracked my learning. Curating Stanhope Forbes’ England offered me an in-depth understanding of the complex processes behind loans based exhibitions including project management; securing Government Indemnity insurance; arranging transportation and packaging; managing environmental conditions; planning an exhibition hang; writing interpretation, marketing materials and a companion publication; as well as giving public talks and tours. I am aware what an incredible privilege this is at such an early stage in my career and the benefits I have gained do not only lie in this widened skills set, but have also had tangible results as I have been offered ongoing curatorial work at Museums Worcestershire. I have also been awarded a position on the British Arts Network’s Early Career Curators Group (supported by Arts Council England and Tate) for the next two years which includes a professional development bursary. I hope to use these opportunities to continue bringing great exhibitions to Worcester and to continue developing as a heritage professional. 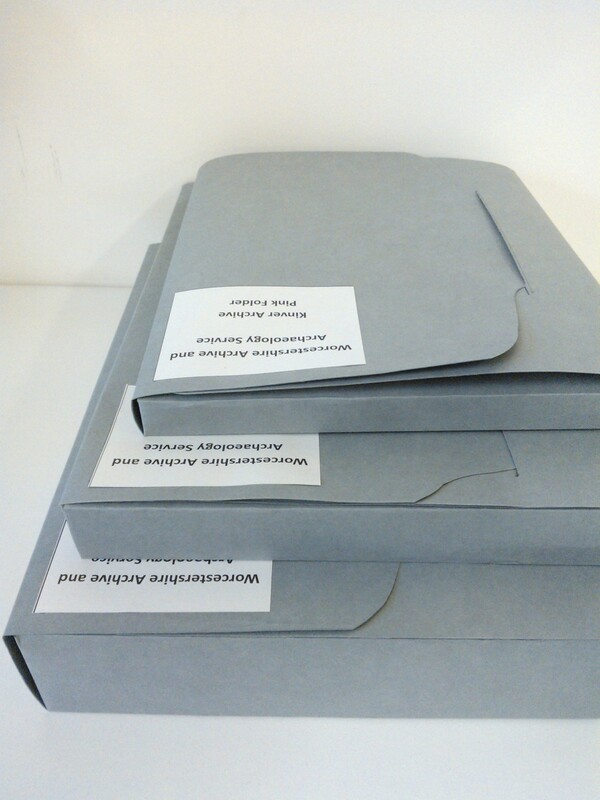 All of us trainees have been working on the final assignment for our Leadership & Management (Heritage) Postgraduate Certificate This time we had to write a 4000 word report about a project in our work place – and we just handed it in so fingers crossed. This project has been a great opportunity to work with volunteers, to get to know them individually, and to learn about how to supervise them on the task. During the project I learned about the council’s policies on recruiting volunteers, I took staff training at the University of Worcester on training people and read lots of books and articles about how to motivate volunteers. I was really pleased they kept coming back, and they did a great job of the transcribing. We even learnt some things about the people in the lists as we went along. The task is going to take a while to complete for the whole of Worcestershire, but eventually will be available for everyone to use, both on the shelf and on the website as a searchable electronic copy. 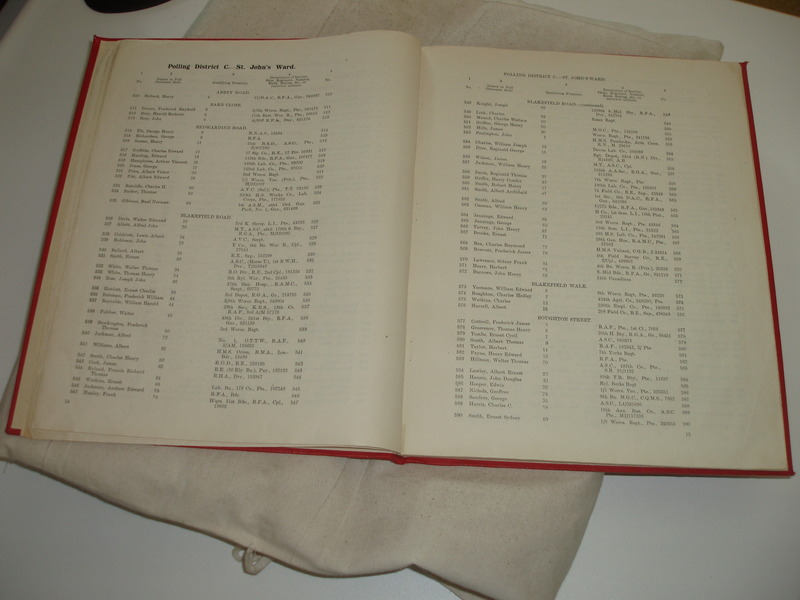 In the meantime, lots of electoral registers are available on the local studies collection shelves on level 2, and the Worcestershire electoral registers for 1918 and 1919 are available from the original archives during opening hours. 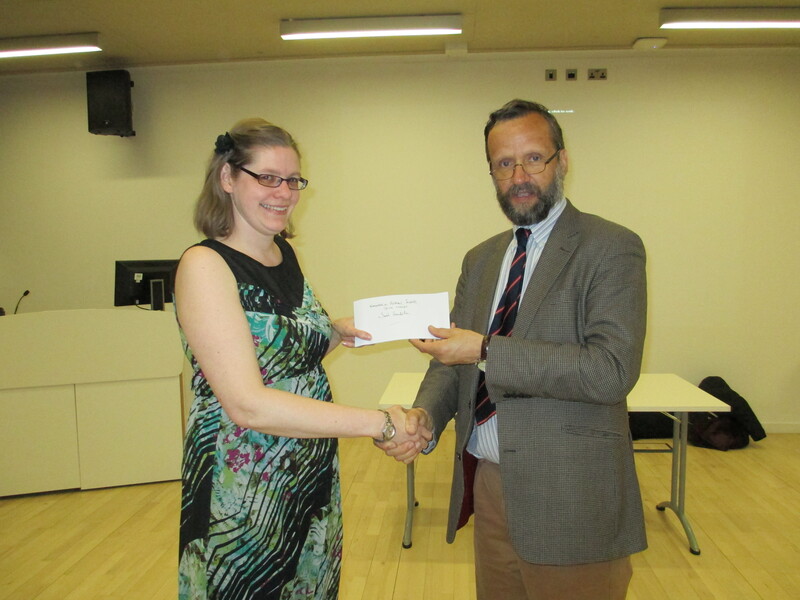 Last week I attended my first gathering for members of the Group for Literary Archives and Manuscripts (GLAM). The University of Worcester Research Collections has recently become a member of this group and I was glad to attend as a representative of my workplace. 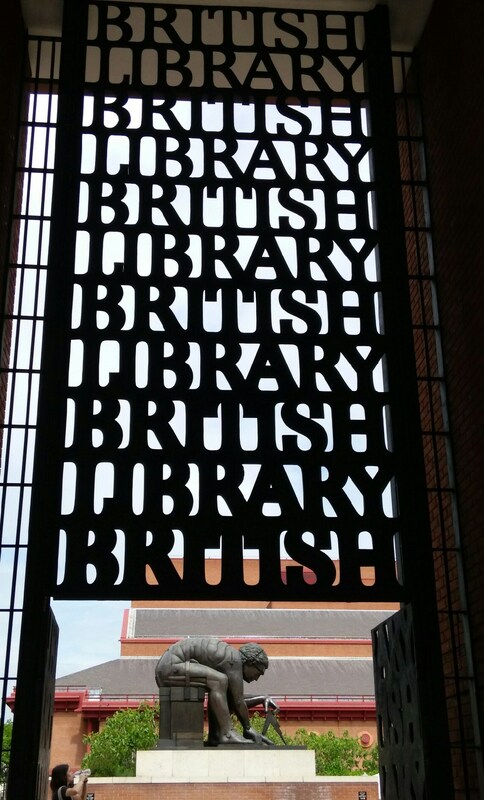 The meeting was held at the British Library in the Conservation Studios and was made up of 35 archivists, librarians, curators, writers and researchers. GLAM was established in 2005 and was initiated by The John Rylands University Library, at The University of Manchester. 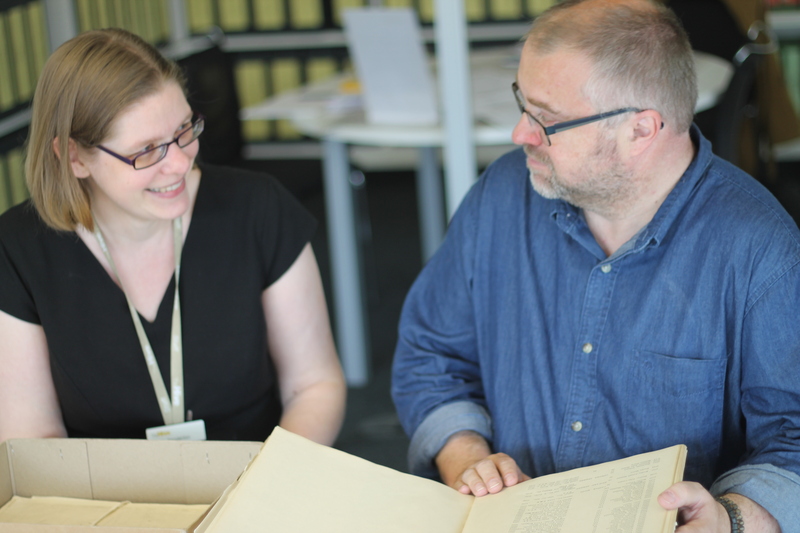 GLAM is an independent organisation which supports the collecting, preservation, use and promotion of literary archives and manuscripts in Britain and Ireland. The focus of the day was on negotiations within acquisitions of archives and the issues that may arise as a result of these discussions. I gained a lot from this meeting as I was able to talk with and listen to institutes who purchase collections rather than relying solely on donations from generous depositors. Although this was not directly relevant to my current workplace it was useful to understand the methods which other repositories undertook in order to secure their collections. 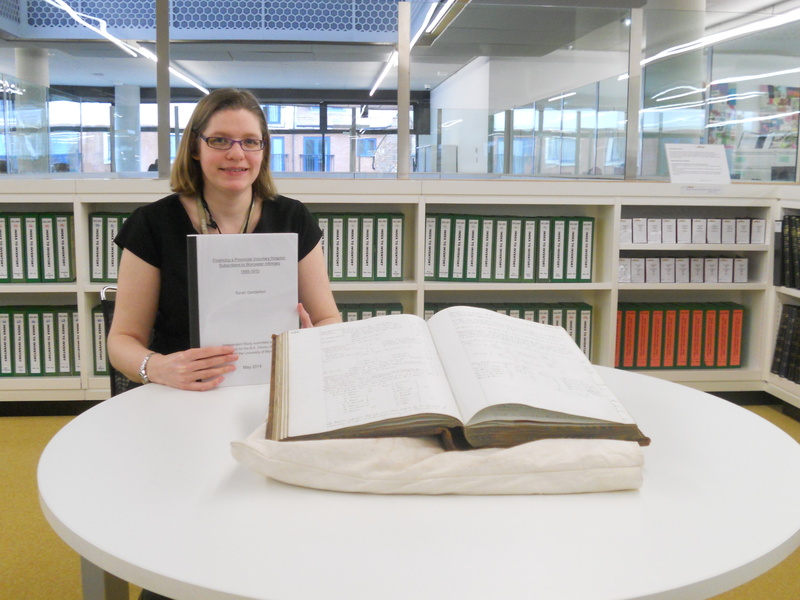 The advice that was provided widened my knowledge of the archive sector and helped to situate our current position at the Research Collections. The next topic of discussion was on the benefits and issues of using living or recently deceased creators. Having a creator and/or depositor who is still alive can greatly enhance the understanding and context of the material being housed. They can be interviewed and their statements can be recorded within the archive and they may even be available for future questioning if any uncertainty arises. On top of this, a living depositor can also answer questions relating to access and allow certain permissions of access to their own work. However, an issue that may arise is one of sensitivity. Their collection is their work and so it is difficult to place a value (whether research potential or financial) on their material without causing any undue offence. It is important to remain empathetic when dealing with depositors as many will see the removal of their work as a cathartic process; this is particularly true in cases where the creator has recently passed away. The next meeting of GLAM is in October and will be a 10 year celebration of the group. I am hoping to attend as it was great to discuss how different bodies manage their collections and it was nice to see the level of support amongst members. The University of Worcester provides great staff development opportunities for its employees; including mindfulness, time management and software skills, to name just a few. I thought I would make use of this opportunity during my time at the Research Collections and was recommended to attend a course on Minute Taking and Servicing Meetings. Initially I was apprehensive as I thought that spending a day learning how to take effective notes was a little excessive. However, I was wrong and I actually learned quite a lot from this session which will benefit both my traineeship and hopefully my future career. Background – why was this item brought to the agenda? Discussion – what are the views surrounding it? Decision – what conclusions have been made? Action – what has to be done? By who? And when? The decision and action points could be interchangeable but one of them is required for each agenda item. 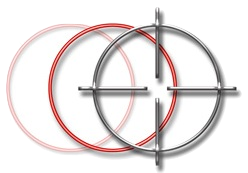 This is all you need to ensure that your minutes are informative and relevant whist capturing areas for concern and objectives for the future. Focus on what the key issues are and make sure these are fully represented in your minutes. The best minutes come from a good rapport with the Chair as they can summarise and go over points to ensure that everyone understands and that you have recorded the discussion correctly. The day increased my confidence in minute taking and pushed me to try new techniques to enhance my efficiency both in and after meetings. I am very grateful for the opportunity and would recommend the course to anyone who, like me, felt they did not need specific training on the subject. If you are new to minute taking, do your research on the attendees and try to understand the topic of the meeting. Sit by the Chair – you can quickly ask questions and clarify any notes with little disturbance to the meeting. Once the meeting is finished find a quiet place to immediately read over your notes – clarify your words and make sense of your text whilst it is still fresh. Try to compile a rough draft of your minutes (for your eyes only) within 24 hours of the meeting to ensure that you retain as much information as possible. 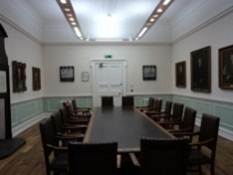 Make sure what you present is a true representation of events at the meeting as they will need to be agreed by the attendees / Chair. 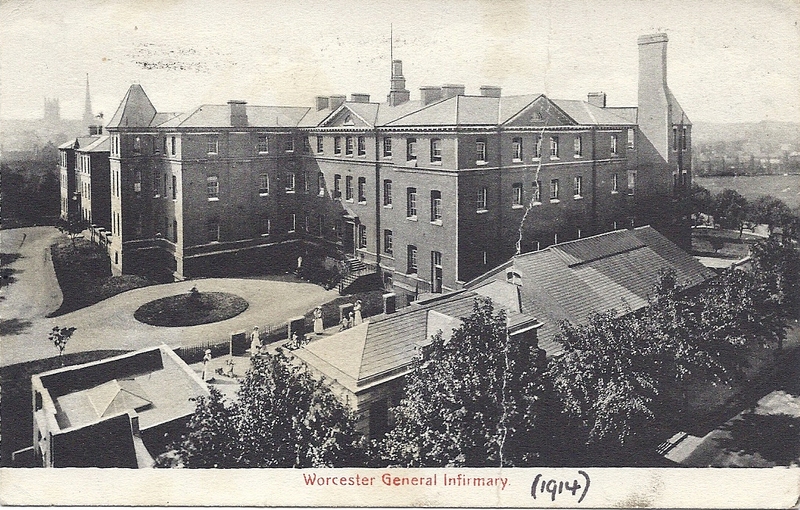 Just lately, my working life, academic study, and spare time have all been about the Worcester Infirmary. I have been preparing to deliver my first ever workshop and it is based on my independent study about local funders of Worcester infirmary. I received a fantastic grade for the original work and subsequently two great prizes, the latest presented by the Worcestershire Historical Society. And now I am ready to present my research to the public. I hope. 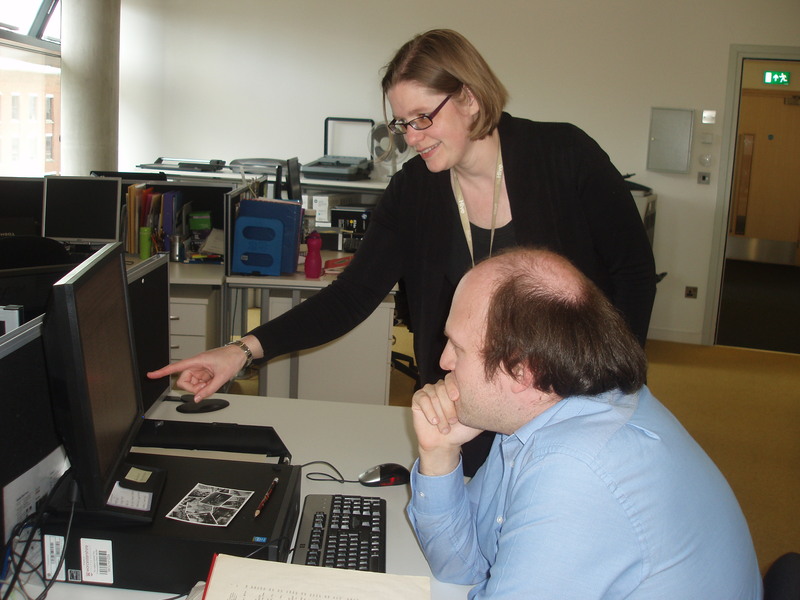 Like similar services around the country, Worcestershire Archive and Archaeology Service offers courses and workshops to the public to help customers with their research and show them what we have. This also helps the service to maintain its reputation with customers new and old, and to generate a small amount of income to cover costs. When I first arrived I sat in a few very interesting workshops and when I offered to run one myself that’s where the work really began. It is one thing to have written an academic piece of work, but quite another to develop that into something I can deliver in an interesting way to the public. In preparation for my workshop, I have attended some workshops by other members of the team, and taken staff training at the university on how to train and deliver research. I even used training as for my last assignment for the PG Cert in Leadership and Management. And I have practiced public speaking by talking to colleagues and students. Now the time is drawing near. I have done further research on different subscribers to the Worcester Infirmary to be able to tell their stories in the workshop. I have delivered research in tours and talks as preparation for the big day: a successful tour of the Infirmary for Worcester Belles WI and a talk for University of Worcester history students. I have advertised on social media, helped to write a press release, and now a blog post….now there is nothing more to do but to walk into the room and deliver my workshop on 19th May at 2pm at the Hive. Places on this workshop can be booked through this link.